Move the barbecue grill over and say hello to oven pits! The days of backyard barbies could be over, with this new trend taking over backyards throughout the country. Fire pits and earth ovens are the newest way to cook your food outdoors, with rustic charm and charcoal flavours making for a delicious feast. We’re predicting a lot of fire pit gatherings this summer, and if you want to jump on the bandwagon you’ll have to get one for yourself. You can buy freestanding fire pits, but there’s nothing more rewarding than getting your hands dirty and building one yourself! Here are six easy steps to building and installing your own underground over. 6 Easy Steps to Making Your Own Backyard Earth Oven. Photo credit: Guru’s Man Cave. To avoid getting into trouble down the track, it’s important you check with your council first about whether or not there are any fire restrictions that might apply to your area. If you’re in a fire prone area, there may be restrictions on what days you can light up your earth oven, while in some areas you may not be allowed to build a fire pit at all. 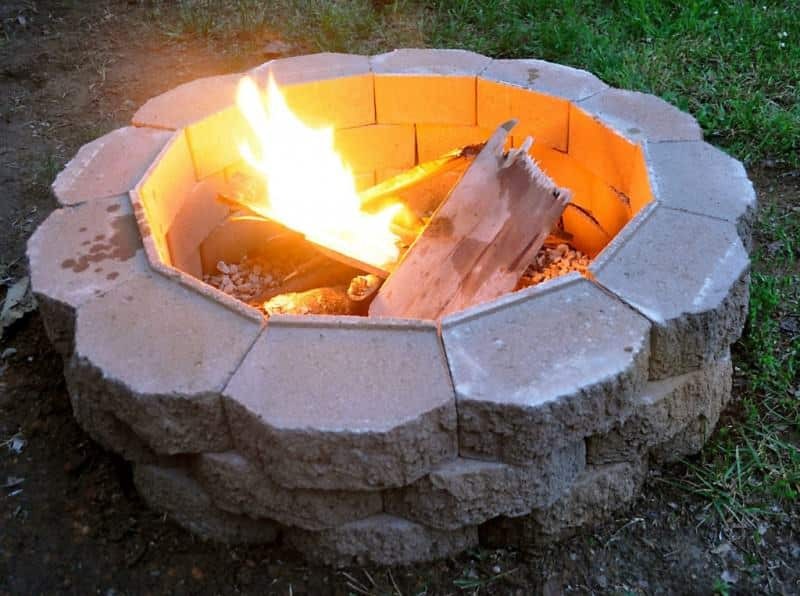 Find an area in your backyard where you’d like to build your fire pit. Be careful when picking a space, since you won’t want any potential hazards around that you can set alight. Stay as far away from overhanging trees and unwanted debris as possible, and don’t place the oven too close to the house or your verandah. Mark the location and shape of your underground pit with spray paint. Now you’ve marked out your spot, it’s time to pick up the shovel and get digging. You’ll want to make your pit at least 30 centimetres deep. As you’re digging, keep the sides as vertical as possible to make it easier to line the hole with bricks. If you’re struggling to make the walls of the hole vertical, try instead to angle them slightly outwards so the bottom of the pit is a smaller area than the top. Line the hole with flat rocks or pavers to ensure the fire remains contained and strong. Broken old outdoor flooring tiles will make the perfect lining, otherwise sheets of stainless steel or copper also work a treat. It might take a bit of elbow grease, but push the lining into the dirt as hard as possible to make sure the inner walls are sturdy. And cover as much of the inner wall as possible so you leave no gaps for dirt to tumble through. Build up the walls around the perimeter of the fire pit with large stones or bricks, ensuring they’re stable. If you really feel like bringing out your inner builder, purchase some ready-mix mortar from your local hardware store to secure the bricks. Warning: It’s best to use a high density fire safe brick, as some regular building bricks may contain air pockets or absorb water which when quite hot could potentially cause explosions. If you need extra advice, check with your local hardware store before building! 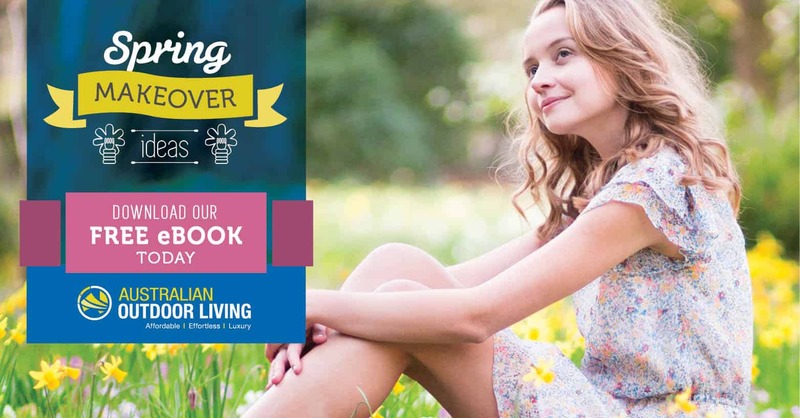 Now it’s time to get to the fun stuff – building and lighting your fire! Start by filling the bottom of the pit with a thin layer of gravel to stop the soil from burning – but don’t pack the gravel in too tight otherwise moisture drains through. Add kindling: smaller, highly flammable materials such as sticks, twigs or newspapers. Now add your thicker branches. For a long lasting fire, make sure there’s no greenery left on the wood and it’s completely dry. Alternatively, use coals. Your earth oven is ready to go! Light kindling beneath your firewood first and watch the thicker wood catch alight. Wrap the food you’d like to cook in foil and place it in the fire (using tongs, not hands!). We love cooking stuffed potatoes or corn like this, wrapping them up in foil to cook. If you’re feeling extra creative, build your fire with a wire rack on top to grill meats on. For the more gourmet earth oven chefs, die your fire down to ashes and try slow cooking your meat. We love stuffing our favourite fish with herbs and citrus and slow cooking it over the fire. Find more great fire pit recipes here! If you want to completely makeover your backyard, check out our inspiring outdoor renovations product range. When you’ve found what you’re looking for, contact us for a FREE measure and quote.